Waterfowlers are slaves to the weather. In the spring and summer we hope for the right mixture of rain and sun so we can dig duck hunting impoundments, plant supplemental feed, and manage weeds and cover. As we do this, we’re also keeping an eye on the conditions up north, praying that nesting success is high and the birds are healthy and well-fed as autumn approaches and the migration, and hunting season, draw near. The fall flight sends millions of birds cascading down from their summer range in the north country. With any luck your hunting site is a scheduled stop along the way, but now the weather plays a more vital role in the success or failure of our hunts. We need cold weather to usher birds in our direction, but if that weather is too severe and the water freezes, birds will push south. We can’t control the weather. Changing winds, falling temperatures and precipitation are factors that affect our success and determine the success of the hunting season. And while we can’t manage high and low pressure systems, fickle winds and rising and falling temperatures, we can control the ice. During the migration, many waterfowl species are looking for one key feature when deciding whether or not they’ll drop out of the sky at a certain locale, and that’s open water. And, with a little effort and the right tools, you can break the ice this season and roll out the welcome mat for passing birds. Jackie Van Cleave is a guide on Reelfoot Lake in northwest Tennessee, and the area produces some truly outstanding duck hunting when the weather cooperates. When it doesn’t, Jackie doesn’t allow Mother Nature to thumb her nose at his duck hunting operation. 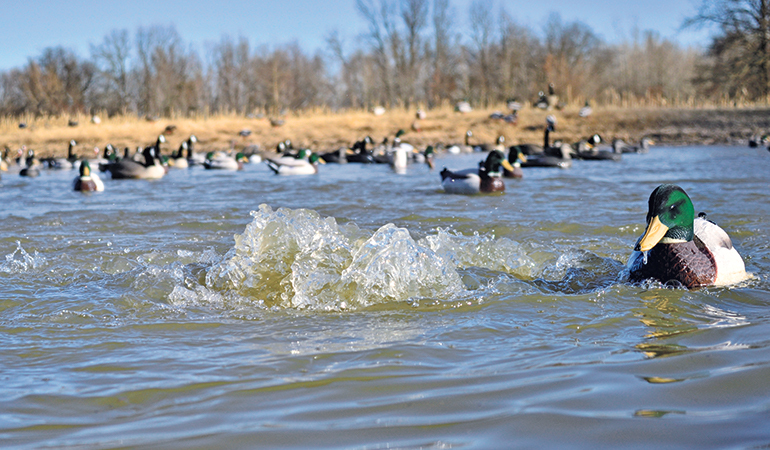 Instead, he opens water to bring birds into the decoys. In those instances, a little ice favors the well-prepared hunter. Ice eaters generate continual water movement that open up frozen water. Having open water where the birds can land makes your hole a magnet for passing ducks and geese, but Jackie doesn’t immediately flood the water with decoys. If you have no other option (and want to work off grandma's Christmas ham) you can manually break ice with an axe or sludge hammer, but it's a slow and difficult process—a chainsaw works best, just make sure you're not standing in the middle of the hole you are cutting. Just be forewarned, it's likely the hole will freeze over again if you don't keep walking out and moving water. But there are some places you just can't get an ice eater, and if you're eager to kill a duck, it can work. As temperatures dip, you need to have a plan to keep water open, and an ice eater or aerator, a great option to look at for permanent wetlands, are the best options. You may not have a boat or be able to launch your boat in the shallow water where you hunt, and bashing ice with a hammer gets old in a hurry. Keeping water open in cold weather is essential anywhere you hunt, but should be of particular interest to private-land hunters. 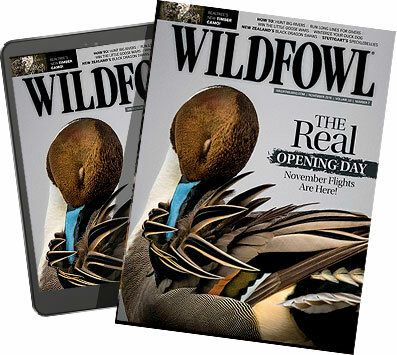 You have invested all this money in a wetland; you are going to want to be able to hunt it during what is arguably the best time of year to kill ducks, particularly greenheads. We see so many hunters here in the Midwest spend big money on impoundments along the river and stop short of wiring electrical to run ice eaters. It's a tremendous mistake when the temperature dips below freezing, a huge influx of mallards show up and they have an expensive wetland full of hard water. But ice eaters are beneficial before the freeze too. Zain Vanderboegh of Higdon Outdoors says their Ice Blaster, which comes with a 100-foot cord and is powered by an optional ½-, ¾-, or 1-hp Kasco Marine motor, serves other duties besides simply keeping the water open. Ultimately, though, an ice eater will see the most use when the temperature drops, and Vanderbough suggests keeping water open at your kill hole and, if your budget allows, keeping water open where the birds can feed and loaf. Select a location for your ice eater that offers the best presentation based on conditions (wind, sun, cover, etc.). Also consider the availability of electric power, or scout a position to place—and conceal—the battery that powers the unit.It’s best to avoid areas where debris like submerged weeds will clog the ice eater. Most ice eaters, like the Ice Blaster or Mallard View ice eater, have been engineered to reduce the likelihood of a clog, but having open water around the unit and a solid platform stand that secures the ice eater at the proper angle is crucial regardless of the model you choose. By continually moving water, ice eaters keep water open on the coldest days—and extend your season when the neighbors are frozen out.